I’m a graphic designer at a firm in Chicago. I come from a family of lawyers, really successful lawyers. My siblings, Trevor and Lindsey, are the perfect offspring. They made perfect grades and now work at the perfect law firms. Fact is Lindsey just made partner! My boss doesn’t know I’m alive, I haven’t had a promotion in two years, am still on the bottom rung of the office pecking order and my apartment is the size of a pool table but most pool tables are nicer. I need a raise! I need something to brag about at Thanksgiving dinner, the next big family get-together. 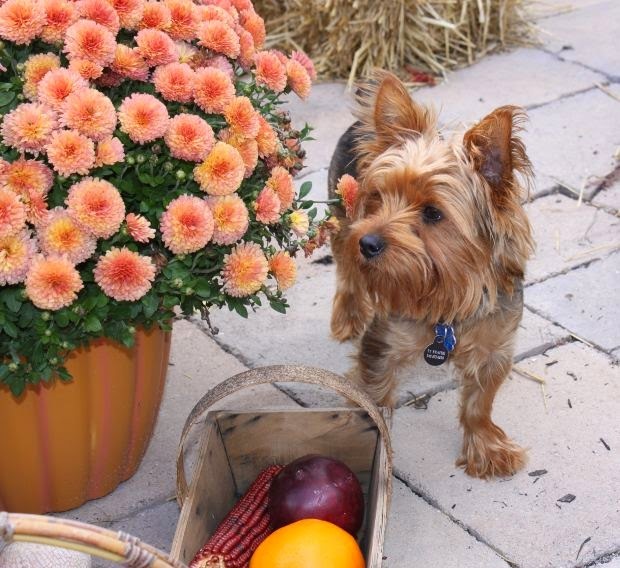 The way things are going I’m going to be eating turkey at the little kids table or maybe on the back porch with the dog. because he can’t, I just might get Abigail’s attention. At least maybe she’ll remember my name. Seems to me that’s the first step in getting a raise. I could just quit the job and move on but I have years invested here. So, tomorrow I’m going to volunteer to leave Chicago, go to an eight mile chunk of land in the middle of a lake and try and wheedle a promotion out of my boss. I’ve never been to Mackinac Island. Can you tell me anything about it? What’s it like? I hardly wait for this new series to come out! I've never been to Mackinac Island, but I'm looking forward to visiting via this new series. Really can't wait! Hi Mark. Mackinac is soooo different than Chicago, Poor Evie is in for a real shock! Thanks for the support on the new series. I really appreciate it. I can not tell you anything as have I never been myself. Perhaps we can both discover its wonders. them. Then get together and discuss the beauty of Mackinac Island? 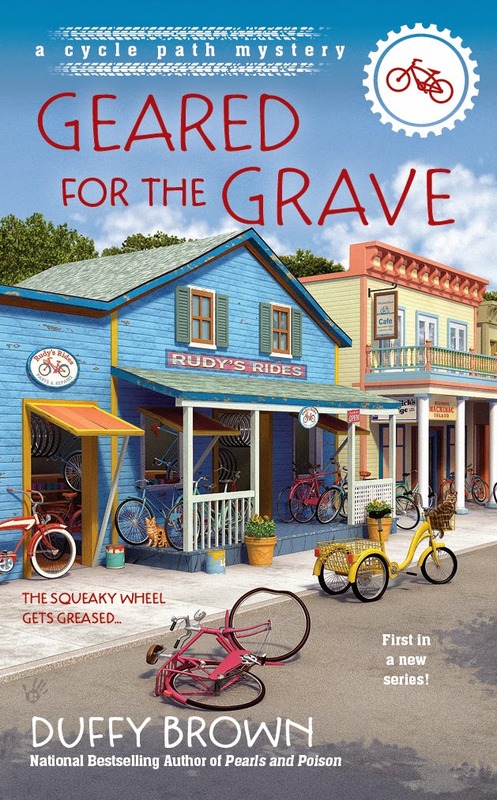 When you read the book it’s a mini vacation to Mackinac…minus the dead bodies. It really is a neat place. I have never been, but thanks to Allie (with a little help Nancy Coco/Parra!) have learned its charms...and it's fudge. It's to die for! :) Stop by the historic McMurphy Hotel as I'm sure Allie would love showing you around. Good luck on landing a promotion. Sounds like a fun new series! a new book in the series!!!! Hi, Cyn. Yes, this is a new series taking place on Mackinac Island. More fun and dead bodies but this time in the North! I absolutely cannot wait to read this book!! I've never been to Mackinac Isalnd but would love to go someday. We need to meet up on Mackinac. We’d all have a blast. Hope you have fun discovering the island as you read the book. I even included a map. Sounds interesting. Love when the heroine is trying to get some attention for a raise or a better job. It usually ends up much better than she's hoping. Welllll the problem is when she gets to the island she gets involved in a murder, not the sort of thing that tickles her boss’s funny at all. Attention of the wrong kind. It is so incredibly beautiful and timeless. I went as a kid, but remember it clearly. I remember the fudge too! Go figure. The hotel was spectacular! If you have not gone, definitely go. Yes, I was there last year with my daughter for the LiLac Festival. We had a blast! Hi, Sandy. It’s not only a mystery but a mini vacation to Mackinac Island. It’s so lovely up there. I'm so looking forward to this one! I've always wanted to go to Mackinac Island. Hi, Lisa. It really is timeless. You feel as if you are in another world. Hi, Mary Louise. Yes, we can discover the island and the great people there together. I included a map so we can find our way around. I've never been there but would like to go someday. But until then, your book sounds great! I've never been to Mackinac Island, but know it would be beautiful and relaxing! It is so relaxing and so quiet with no cars. Like a time warp. Another world for sure. Sounds real good. Have no way to be of help with Mackinac as have never been there. Hi, Nancy. Then we will discover it together! An adventure for sure. And I’m going to need lots of luck if there’s a dead body or two. My boss is not going to like that one bit. Hope I don’t get fired! I currently live in the Chicago area and I would cheerfully move to Mackinac Island for a couple of years. Oh, this looks so good! Will be added to my list...win or lose! Hi, Ellen. Thanks tons for the add. Hope you enjoy visiting me on Mackinac. I just recently figured out I've been pronouncing Mackinac wrong all these years. I'd love to read a mystery set there. Thanks! Visiting new places is always fun and Mackinac is so special. Ooooh, high tea! Love that almost as much as sweet tea. Mackinac Island and this book sound like great fun. Love the cover on this new book. I grew up in Michigan and have been to Mackinac Island a few times. Beautiful island. No cars allowed and you walk everywhere. The Grand Hotel has a murder mystery weekend as well! We also like visit Petoskey and St. Ignace each year. Can't wait to read this book. I love this island. It is so beautiful. Never been to Mackinac Island either but I love islands because you are always close to the beach! Surrounded by beach. LOL Rocky and sandy and they build carrins with the rocks on the beach. Lake Huron is terrific but deep and cold. Great place to get rid of bodies. Thanks Raquel. Mackinac is a great get-away. Hi, Raquel. We all need a little vacation to Mackinac. So peaceful. Thanks for chatting. And this island has no cars, lots of fudge and horses. It’s kind of a time warp. What a great get-away. I am sure it is a nice place, sorry I have missed it. You’ll have fun reading about it in Geared for the Grave. Mackinac is so much fun. I can't help because I've never been to Mackinac Island, but it's probably very nice. I like this series name: A Cycle Path Mystery...lol!! 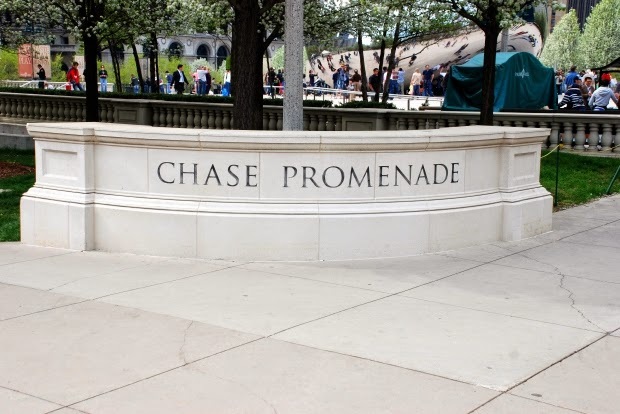 A nice quiet place to visit for sure…usually. Yes, lots of bikes on Mackinac. My daughter and I took our bikes out to the island. What a great time. Hi, Ronna. Yes, the Savannah series still goes on. This is another series. Lots of eating and shopping and new and fun characters. Hi, Meg. I love it too. Thanks for chatting. Thanks Betty Louise. You’ll love Mackinac. Takes Evie a bit to get used to it. The new series sounds good and interesting. Never been to Mackinac, although I live in Ohio. I had heard about the no-cars rule and the fudge. Now that makes me think of taffy. I bought some years ago when I went to Frankenmuth, Michigan. I have been to Put-In-Bay but that's a mystery series by another cozy author! Try Mackinac. It’s an easy drive north and you part the car and take the ferry over. It’s a nine hour drive from Cincy. This series looks like one I will love. I love reading about places I've never been, as in Mackinac. I can't wait to dive in! Hi Debora. I love reading about places I’ve never been to before too. I fell in love with New Orleans though a book even though I’ve never been. I love the book cover. I've seen the blurb for this book, it looks interesting. Thanks, Kim, for playing along and the support for Geared for the Grave. Have a good evening. I don't know anything about Mackinac Island but I can't wait to read all about it and Evie's quest to get ahead at her job with the boss by way of his Dad! This looks like an interesting new series. Can't wait for this series. I've never been to Mackinac Island, but I have been to Put-in-Bay, Ohio which seems similar. There are no cars on the island-we rented a golf cart to get around. There were neat stores and a nice winery. It was a nice, relaxing, peaceful day. I need to get to Put-in-Bay. Sounds terrific. We sailed there years ago. What a terrific time! Congrats on the new series! Looking forward to reading this new book & taking a trip to Mackinac Island. I've had Mackinac Island on my bucket list for about 10 years! Sounds like a great series! Hi, Robyn. 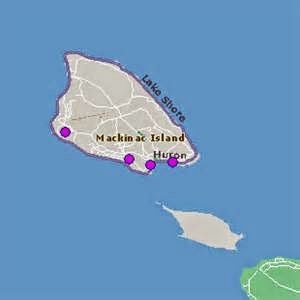 Mackinac is in Michigan, an eight mile island in Lake Huron. No cars, lots of bikes and horses and fudge and so quiet. It’s truly lovely. I've never been there but lots of my friends have been and say it's a wonderful place. I'd love to rad this book. Hi, Sue. Next time your friends go you must tag along. You’ll have a lovely time. The Grand Hotel is terrific. We couldn’t afford to stay there but we visited for high tea. What fun! Sounds like a great new series. And, Mackinac Island seems like a great place to visit. I've heard there are no cars allowed, is that right? Hi, Patricia. There are no cars but lots or bikes and horses. It is truly a get-away from it all place. When you pick up Geared for the Grave you’ll fall in love with Mackinac. Islands are alway fun. Not even sure where Mackinac Island is -- much less have I ever been there. I'm sure I've heard the name before (from books?). And since you, Evie, are in Chicago, I'm thinking the Island might be in one of the Great Lakes? I have a friend, and her family, who lives in the Chicago area. I met Linda when we were in Germany (both hubbies were US Air Force stationed there) back in the 80's. That's were they were from, Chicago, and when he retired, that's where they went back to. I'm quite sure Linda would welcome me if I said I wanted to come visit -- but I really have no desire to go to that part of the country -- Oklahoma is just fine with me. HI, Donna. Oklahoma is terrific. Mackinac Island is in Michigan, an island in Lake Huron. I love Mackinac. Enjoy the fudge, the tourists while they are there and the peace and quiet when they leave. I so agree. It sure is a place to get away from it all and so pretty. not sure about the island but so excited about this book and series! Thanks Lexie! You’ll love Mackinac Island. For someone who grew up in Michigan, I should have at least been here once, but never made it...and darn, it is a long way from where I live now. Hope to see it through your eyes! We have been to Mackinaw Island 3 separate times. It is very laid back since no motorized vehicles are allowed on the island. Horse drawn carriage rides are a lot of fun. 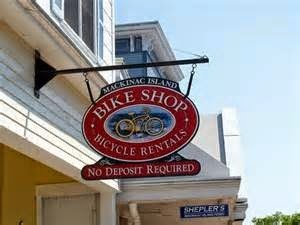 You can also rent a bicycle and tour around the island. Or just walk the island. There is a lot of shops on the main street through the town. Hi, Frankie. Thanks for the tip in the bikes and horses. Not sure if it’s going to help Evie get her promotion but it’s sure going to be an adjustment from Chicago. Maybe she’ll get a snowmobile for the winter! I have not been to Mackinac since I was a teenager, or possibly preteen. I wonder if things would look smaller to me now that I am grown. But Michigan is a wonderful place to visit and possibly to hide a body. Awesome!! I love your books. Can't wait for this to come out. Now I will have 2 series that I can enjoy from you. I have been to Mackinac Island and because of your new series, I'll be able to go back. Thanks! I can't wait for the series to begin! Hi, Joan. Yes, it will be like a mini vacation to Mackinac. It’s all there from the East Bluff to the fort to Arch Rock and the fudge shops. We’ll have fun! Hi, Judy. Thanks for chatting! Love the cover and the story concept... My oldest son and his son are cyclists. My grandson was either 6 or 7 years old when he did a 20 mile ride around Brooklyn, and the bike was a standard boys bike. These days (now 10yrs old) he's riding a $300.00 bike that already has almost 1000 miles on it.